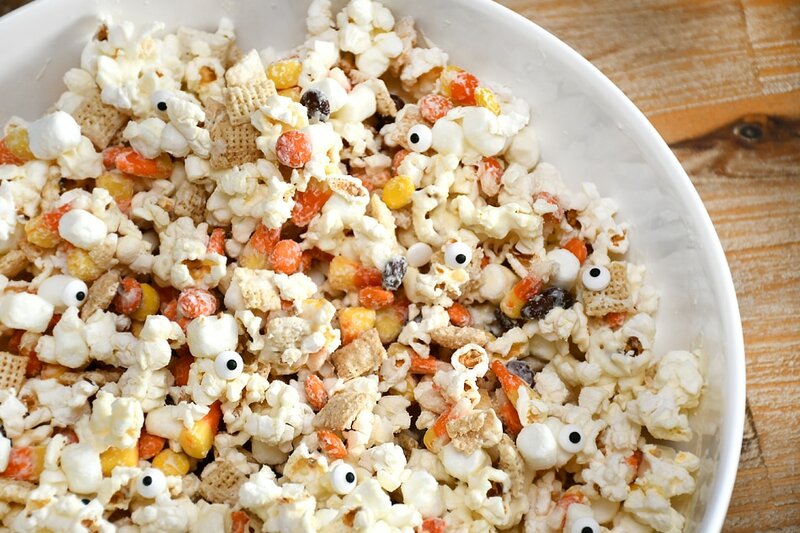 If you have a Halloween party coming up, a must-make dessert for the kiddos is my monster munch recipe! 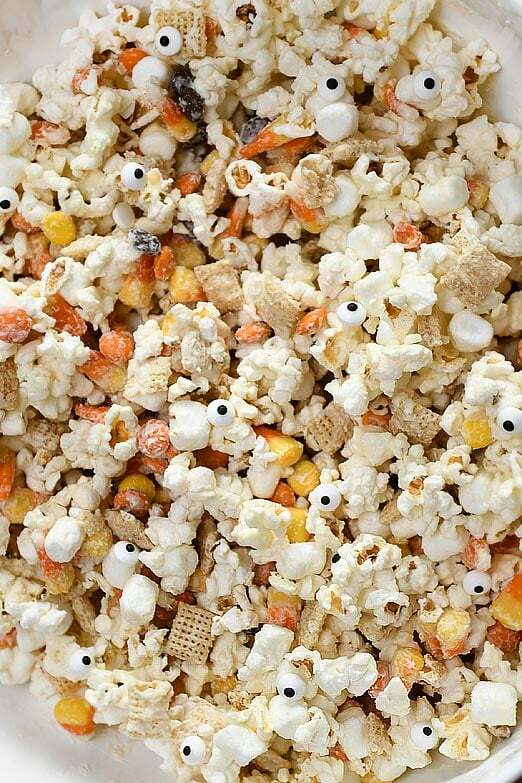 Popcorn, Chex, candy, marshmallows, and little candy eyeballs… everything a kid could want in a yummy Halloween treat! But trust me, this is super addictive and once you start munching, you won’t be able to stop! Pop the popcorn according to the bag. Pour into a large bowl. Next add vanilla Chex and mini marshmallows. 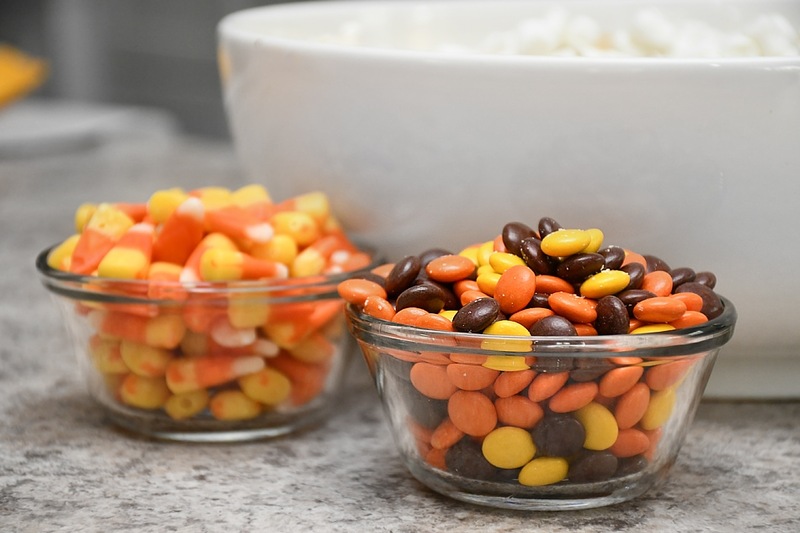 Pour in Reese’s pieces and candy corn. 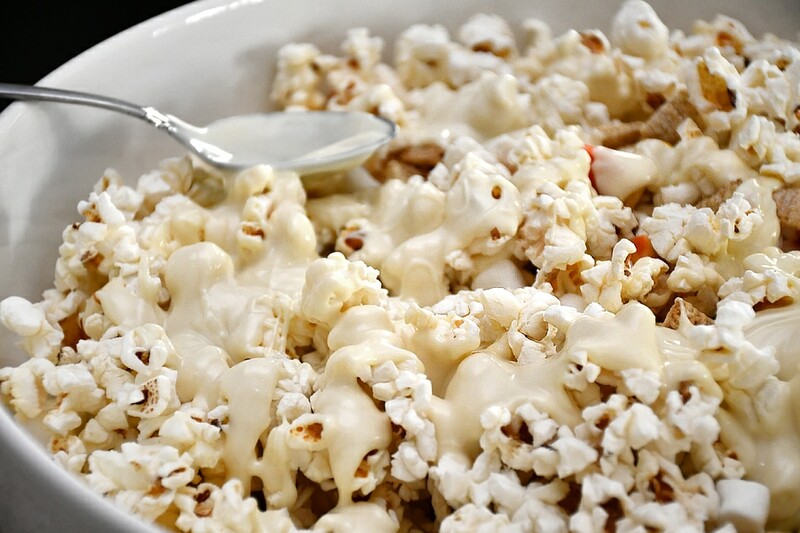 Melt white chocolate chips in the microwave or over low heat on the stovetop. Once melted, gently pour over into the bowl. 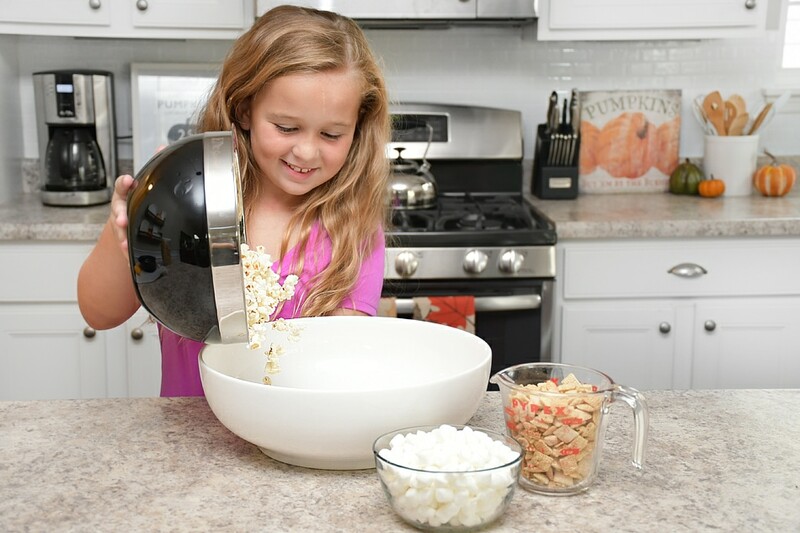 Stir until all ingredients are covered in white chocolate. 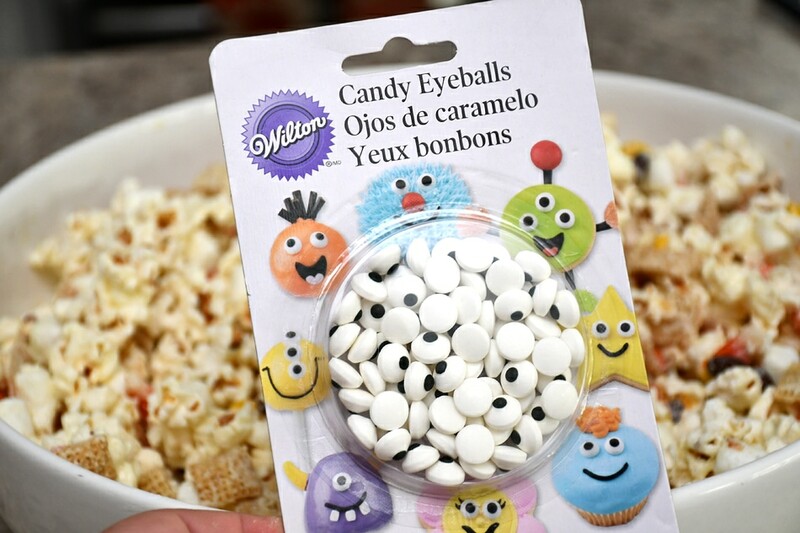 Now I save the candy eyeballs for last because I like to make sure they’re facing the right way… presentation is key for the kiddos! Just make sure you add them to the monster munch while the chocolate is still melted so they stick in place. And here’s the final monster munch! 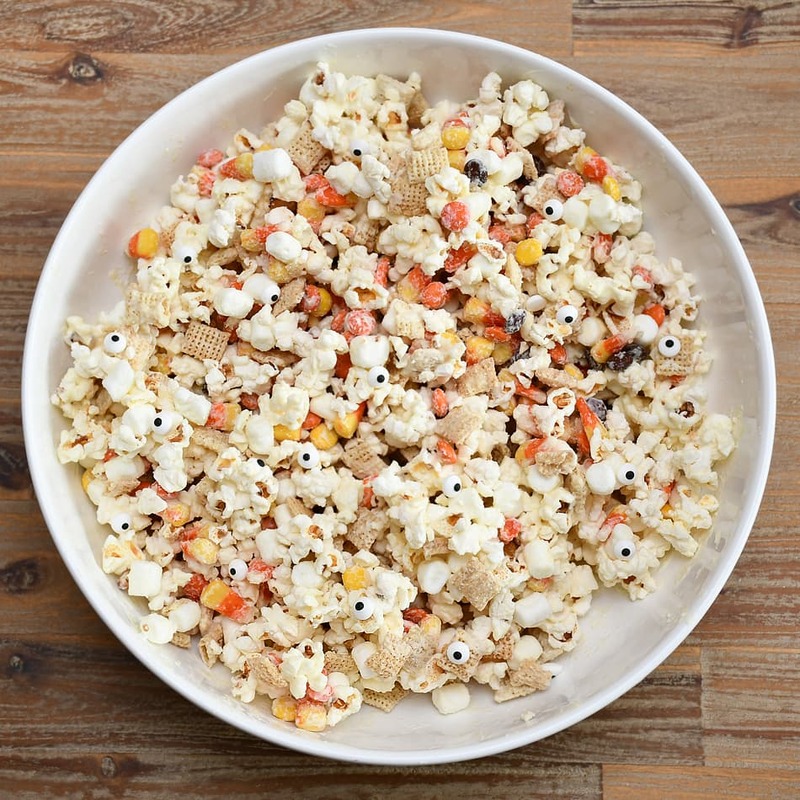 The salty sweet mix is oh-so-good! Definitely a hit with the kids (and adults!). Oh, and I found these adorable skeleton arm tongs at the Dollar Store. 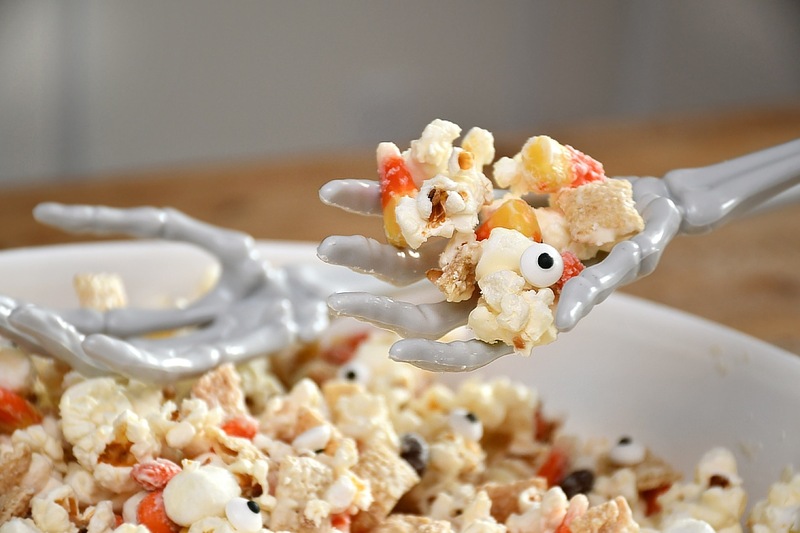 Great for serving pieces at your Halloween party at home or the kid’s school! And trust me, if you love anything with white chocolate, this will be super addicting as I mentioned!! 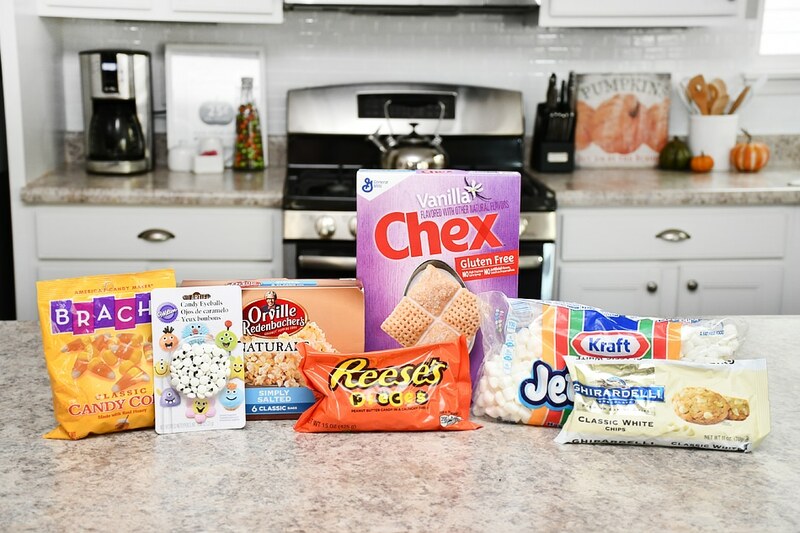 Peanut butter, chocolate, candy corn, marshmallows, candy corn, popcorn…. uh yeah. You’ll be munching on this monster munch until the bowl is empty in record time! 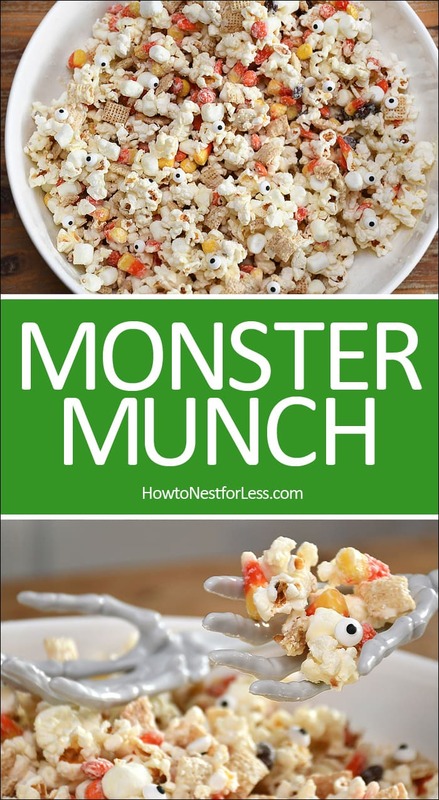 Hope you enjoy this monster munch recipe and give it a try! 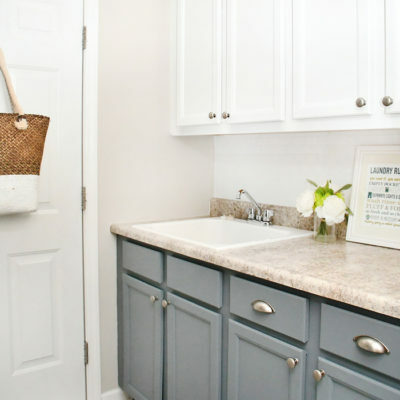 If you want to see more recipes from our blog, CLICK HERE. Great blog!!! Why are you moving again!? We’re not moving again. 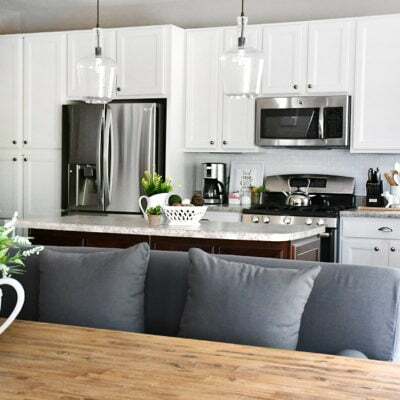 I think our house was listed on Zillow for like 2 hours on Friday, haha. Is that how you saw it? Yes! 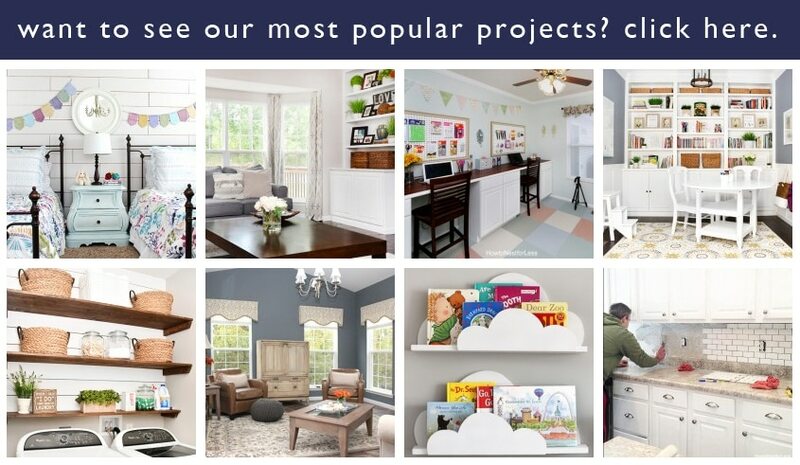 I am in a local group that follows your page and we work together to recreate projects every weekend for one member at a time. 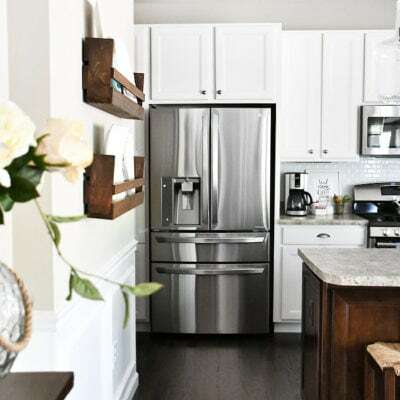 One of our members spotted your Zillow and was curious 🙂 Great pictures!!! That sounds like a fun group! !